Stunning 78% of FC Porto's football players are right footers and so is Soares. Soares played 28 matches this season. Portuguese forward Soares, who is currently under contract to FC Porto in Portugal, joined the club January 24, 2017. 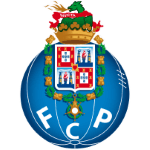 At present, FC Porto is leading in UEFA Champions League (group D), while in Primeira Liga (Portugal) they are in second place. He stands 187cm high and thus is 4cm taller than his team on average. Soares is one year older than his team's average age, as he was born on 17.01.1991. At 174.16lb, he carries 8lb more than the average FC Porto player. At FC Porto, he is the owner of strip number 29. After an overall look at his career, we can see that Soares was substituted in 37 times but never out. In the active season, he was taken out more often in contrast to 2017/2018 wherein the contrary happened. 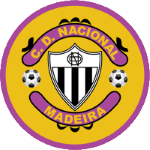 He was contracted to a few clubs during his professional career, one of them being Vitoria Guimaraes, for whom he played before coming to Portugal. Concerning the latest matches, his club won in UEFA Champions League plus lost in Primeira Liga. Primeira Liga 18/19 (Portugal) has been Soares' best season so far since he scored his personal highest amount of goals. He is enjoying a great Primeira Liga 18/19 (Portugal) season so far, netting 16 times (22.4% of his team's sum) and initializing four goals. This leads to roughly 0.14 assists and 0.57 scores per match in the resent season. One could say he translated to a slightly improved form compared to last year yielding a per-match-quota of 0.32 goals and 0.15 assists. He completes FC Porto's offensive department, alongside players like Moussa Marega, Marius Mouandilmadji, Hernani, Jesus Corona, Yacine Brahimi, Fernando Andrade, Vincent Aboubakar, Adrian Lopez and Andre Pereira. To date, collectively Soares holds 20 penalties. Lately, he seems to be more quiet since less penalties were given to him than usually. With each day at FC Porto, he is extending his personal record stay with a club which counts two years and 3 months for the time being. Just six days ago he played his latest match. 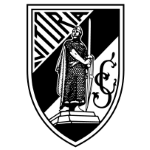 Soares' shortest stay in a club was six months in Vitoria Guimaraes (Portugal).